OSM’s 75th with Mehta & Messiaen a Celebration of Sound! 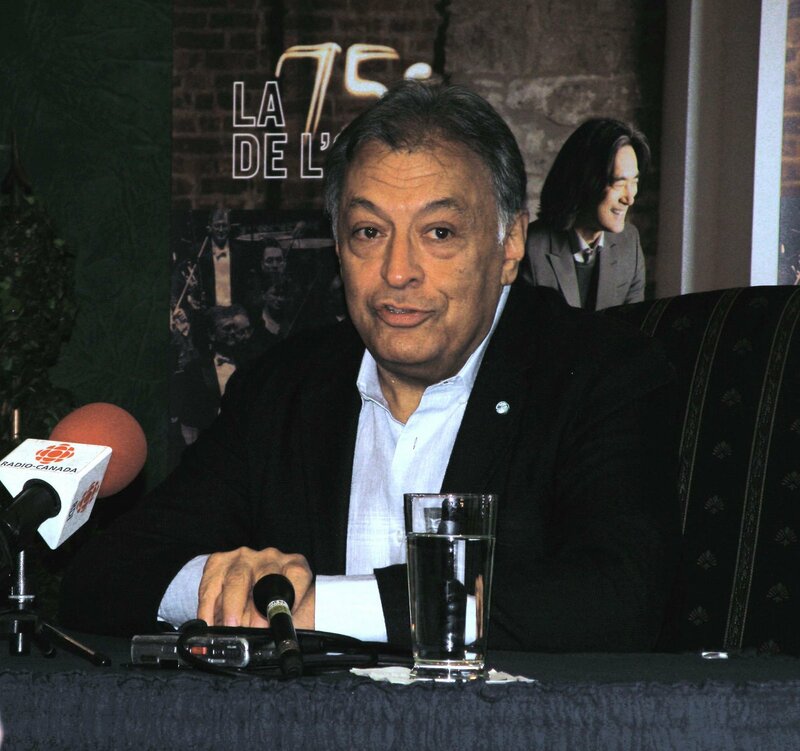 Canada doesn’t see much of Zubin Mehta these days but he still has a soft spot for Montreal and tries to return as often as he can to the city that helped him so much in his early days as a conductor. He was back again to celebrate the 75th anniversary of the Orchestre symphonique de Montréal (OSM) last week and it turned into a great event for all concerned. Mehta has a home in Los Angeles, but he doesn’t conduct there much any more. His primary musical responsibilities are to the Israel Philharmonic – he was appointed music director for life in 1981 – and the Teatro del Maggio Musicale in Florence, where he is currently at work on a new production of Wagner’s Ring cycle. In 1961, at the very beginning of his career, the OSM took a chance on 25-year-old Zubin Mehta and hired him as music director. For the next six years, he and the orchestra learned repertoire together, but within a year of his OSM appointment, Mehta also became music director of the Los Angeles Philharmonic (1962-77). His career quickly became international. 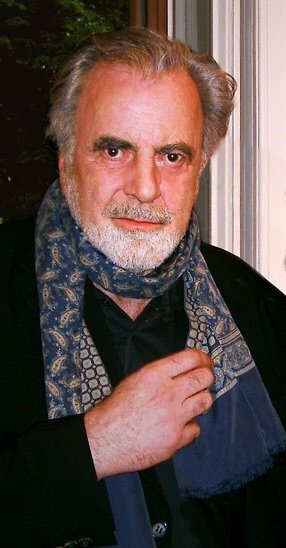 In 1977, he became music director of the Israel Philharmonic, and then the New York Philharmonic (1978-91), and later, the Bavarian State Opera (1998-2006) in Munich. He is a regular guest conductor of the Vienna Philharmonic and has been invited by its members to conduct no fewer than four of its famous New Year’s concerts. For his return visit to Montreal to celebrate the OSM’s 75th, Mehta put together a programme of works by Messiaen and Saint-Saens to be presented in the Notre Dame Basilica in Old Montreal. Et exspecto resurrectionem mortuorum (Messiaen) was part of “Automne Messiaen 2008” being celebrated all over Montreal from September to December and culminating in performances of Messiaen’s opera Saint Francis of Assisi conducted by Kent Nagano. In fact, 2008 is the centenary of Messiaen’s birth: the actual date is December 10. I had not realized that Mehta has been a great champion of Messiaen’s music over the years. At his press conference held a few days before the Montreal concert, Mehta talked about his relationship with Messiaen and his music, and passed on an amusing anecdote. It seems that Messiaen was in Tel Aviv for rehearsals of his Turangalila Symphony with the Israel Philharmonic. 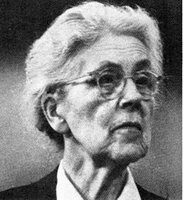 During the course of rehearsals the players became bored and restless and at one of the breaks some of them went to Messiaen and asked him to cut a couple of movements. Naturally, Messiaen was offended and made a counter-suggestion. Better they should cut the other work on the programme – Mozart’s Jupiter Symphony – and he would tell them exactly where to make the cuts! Mehta had to apologize to Messiaen over the incident. No word on whether anyone apologized to Mozart. Mehta recalled that Messiaen often came to rehearsals wearing a colourful Hawaiian shirt with girls in hula skirts on it, but when it came to the performance of his music he was very serious and very strict. was given its first performance in 1965 at the Church of St. Chapelle in Paris and then a month later at Chartres Cathedral. It is obviously designed to be performed in a large space with long reverberation time. The orchestra comprises only winds, brass and percussion and the music features slow-moving chords and percussion effects from various kinds of bells, gongs and tam-tams that are intended to reverberate in a large space. Notre Dame Basilica is indeed a large space, but in this case “bigger” is even better. The piece sounded wonderful in Notre Dame – especially the almost deafening percussion crescendos – but to have heard it in Chartres Cathedral would have been something else again. Mehta conducted the Messiaen with his customary efficiency. Messiaen pupil Pierre Boulez could hardly have done better. Nor was Et exspecto resurrectionem mortuorum the only Messiaen heard during the evening. 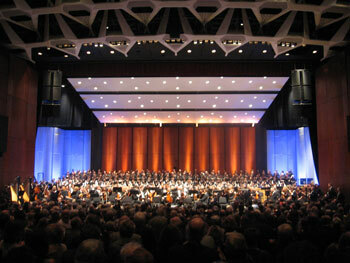 The concert began with a performance of the early (1932) organ piece Apparition de l’Église éternelle played by Pierre Grandmaison. This ten-minute work begins with a series of unsettling tone clusters, but gradually out of extreme dissonance comes relief in the form of the grandest and loudest major chords one is ever likely to hear from an organ. Presumably, this is the “apparition” of the title. The major work on the programme - and the best-known - was Saint-Saens’ Symphony No. 3 Organ, with organist Patrick Wedd. For all its deserved popularity, this symphony is seldom heard under ideal conditions. It is most often performed in concert halls and often with electronic organs, but this performance was the real deal and I never expect to hear it done better. I was sitting about half-way back in Notre Dame, which meant that I was about the same distance from Mehta and the orchestra in front of me and the organ console and pipes behind me. Thanks to careful preparation by the performers, balances in both soft and loud passages were just about right. Given the size of the place and the vast distance between orchestra and organ this was an amazing achievement; of course, the performers have the benefit of video cameras to see and hear each other, but it still takes musicians with sharp ears and cool nerves to make it all work. Mehta has had a lot of experience with the Organ Symphony. He has recorded it several times, most recently with the Berlin Philharmonic in 1997, and his view of the piece has become more refined over the years. Saint-Saens saves all the bombast for the last movement – this is the only time in the piece that the organ is allowed to play fortissimo – and Mehta made sure that the really big guns were saved until the end. In fact, the only other section of the score where the organ plays is the second movement ‘Poco Adagio,’ and there it mostly meshes softly with the orchestra in an accompanying role. From the OSM Mehta got all the power he needed, but also a beautifully dark and blended sound. At the same time, Mehta had obviously asked the timpanist to use hard sticks so that the important timpani solos would register clearly in the reverberant acoustic. In both the Messiaen and the Saint-Saens, we saw a master conductor at work. Mehta is a consummate technician, but he also loves the music he plays. It was a treat to see him at work and to hear this music so well performed. Mehta Discography, Autobiography, and a Well Deserved Award For listeners who wish to hear more of Mehta, there is a huge catalogue of recordings and DVDs and it continues to expand with new releases almost every month. Among his recent releases are the VPO New Year’s Concert 2007 from DG on both CD and DVD; the Israel Philharmonic’s 70th Anniversary Concert from 2007 released by Euroarts on DVD; and of special interest to those who want to see how he does it, there is a DVD called Zubin Mehta in Rehearsal from Image Entertainment. We see Mehta rehearsing Richard Strauss’ Till Eulenspiegel with the Israel Philharmonic, followed by a complete performance. Also scheduled for release on September 30 by Medici Masters is a 1977 concert with Mehta and the Los Angeles Philharmonic under the title Zubin Mehta: Los Angeles Philharmonic. For more information about Zubin Mehta, his life, recordings and upcoming performances visit his website at www.zubinmehta.net. It was announced this week that Mehta has been awarded the prestigious Praemium Imperiale by the Japan Arts Foundation. The prize is given for lifetime achievement and is worth US$143,000. It will be officially presented in a special ceremony in Tokyo on October 15. Finally, Mehta has recently written his autobiography. It is available now in German (Partitur meines Leben), Italian, and Hebrew, and the English version will be released by Amadeus Press November 15 with the title Zubin Mehta: a Memoir. Montreal Theatre Ensemble, in association with the John Abbott College Department of Theatre and Music, presents Of Mice and Men at the Casgrain Theatre in Ste. Anne de Bellevue. This also marks the inauguration of the Stage Two initiative where the College welcomes outside companies to share their experience and open their rehearsals to the present theatre students. The first mentoring company is the Montreal Theatre Ensemble. The Leanor and Alvin Segal Theatre presents Dangerous Liaisons. Directed by Alexandre Marine and featuring a mainly local cast, this promises to be one of the most lauded productions of their season. Sunday-@-the-Segal is September 7 and opening night is September 11. Fundraiser for Scapegoat Carnivale Theatre's upcoming production of Life is a Dream. The evening will feature an exciting dramatic reading of scenes from the script, as well as an introduction to the play and the world of Baroque Spain by an expert in Spanish literature. At the Centre Green. Auberge Shalom…pour femmes presents an evening with superstar lecturer Stephen Pinker who will speak on 'The Decline of Violence'. Mr. Pinker is considered one of the world's top 100 public intellectuals. At the Gelber Conference Centre. Scapegoat Carnivale Theatre presents an adaptation of the Spanish classic Life is a Dream by Pedro Calderon de Barca as part of Centaur Theatre's Brave New Looks. Directed by Alison Darcy, the cast of this hilarious and profound work features some of the most exciting Montreal actors including Andreas Apergis, Peter Batakliev, Julian Casey, Gemma James-Smith, Leni Parker, Julie Tamiko-Manning and Eric Digras, along with two live musicians. The Leanor and Alvin Segal Theatre presents Cat on a Hot Tin Roof directed by Greg Kramer. Expect another outstanding production, cast and design team from the Segal Centre. Sunday-@the-Segal is October 26 and opening night is October 30. For his first recording with the OSM, Kent Nagano has come up with a fascinating project. This album features the music of Beethoven, but it is presented from a distinctly Canadian point of view. Musically, The General is essentially Beethoven’s incidental music for Goethe’s play, Egmont; the original Goethe text, however, has been set aside and replaced by a new one created by the Welsh music critic, Paul Griffiths. The new story is based on the Rwandan experiences of Canadian general Roméo Dallaire, as recounted in his book, Shake Hands With the Devil. Dallaire was head of the UN peacekeeping mission in Rwanda in 1993-4 and as the Hutus prepared to massacre hundreds of thousands of Tutsis, Dallaire did everything he could to prevent it but failed; the world was simply not interested. Dallaire returned to Canada a disillusioned and broken man - one of the great tragic heroes of our time. Nagano and Griffiths came up with the concept and then Griffiths set to work. He decided to tell the Rwanda story without mentioning either names or places. For the most part, the narration is given between the musical numbers. As I mentioned, the music is mostly from Egmont, but Griffiths also drew on excerpts from other Beethoven works, most of them little-known. While one wants to applaud Griffiths and Nagano for their ambition, The General is ultimately disappointing. By avoiding naming names and places, Griffiths has robbed the piece of its potential power. The genocide in Rwanda has already taken its place in history as one of the greatest horrors of modern times and Dallaire’s own account of it is totally engrossing. But without any mention of Rwanda, Dallaire, Tutsis and Hutus, Griffiths’ text is almost meaningless and incomprehensible. The bits of narration are far too brief to establish any context, nor is there really any coherent story being told. In the performances which preceded the recording, the narrator was the celebrated Canadian actor Colm Feore; unfortunately, he was unavailable for the recording. In choosing Maximilian Schell (left) as narrator, Nagano and Griffiths have the benefit of a great actor, but he has nothing to work with. What’s more, judging by the mismatches in tempo and volume, one can assume that he did his work alone in a studio rather than with the orchestra. Finally, Griffiths chose to end The General with Beethoven’s Opferlied for soprano, chorus and orchestra. In his notes Griffiths tells us that he wrote new words for Opferlied and he tells us that these words and Beethoven’s music were exactly what was needed to end the piece. Beethoven’s Egmont music ends with a Victory symphony and that was hardly appropriate for the Rwandan story. Unfortunately, since there are no texts included in the CD booklet, we have no idea what those words are. This recording has been issued in both an English and a French version, but neither one includes the text. Beethoven’s music for Egmont is wonderful and with carefully chosen excerpts from Goethe’s play, a performance with narration can be moving and inspiring. Griffith’s new version left me totally uninvolved and baffled by the whole enterprise. It is curious that Dallaire himself was not associated with this project in any way even though he has readily gotten involved with several film projects relating to his experience in Rwanda. In fact, while Griffiths explicitly names Dallaire as ‘the protagonist’ of his drama he never even mentions the title of Dallaire’s book in his notes. Could it be that Dallaire or his publisher had something to do with that, and with Griffiths’ decision to avoid any mention of either Dallaire or Rwanda in his text? For some reason, the overture and two songs from Egmont and Opferlied are repeated at the end of the second CD. I can understand repeating the vocal works – in The General they are given in English (or French) while here they are performed with the original German texts – but why repeat the overture? The music for The General was recorded in Studio MMR at McGill University, and the Fifth Symphony was done in the Salle Wilfred-Pelletier at Place des Arts; neither one has the warmth of the famous church in St. Eustache where so many of the OSM/Dutoit recordings were made by Decca. Some fine music-making on this 2-CD set but lots of questions too. 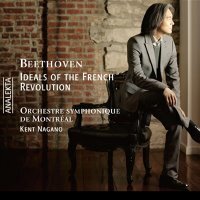 Fans of Kent Nagano – and there are a growing number of them – will want to have this album in any case, as the first recorded documentation of his work in Montreal. I just came back from the 3rd annual COC Ensemble Season Opening Concert at the Richard Bradshaw Amphitheatre at the Four Seasons Centre. This was a "Meet the Young Artists" concert, where the audience members get a preview of the 2008-9 edition of the Ensemble singers, some returning from previous year and others new. This year, the event was made even more significant than usual, thanks to an anonymous donor who has given the COC a whopping 2 million dollars in support of the Ensemble and the concert series - what a great start to the season! The Ensemble lineup this year consists of five sopranos (Laura Albino, Ileana Montalbetti, Teiya Kasahara, Lisa DiMaria, and Betty Allison), one mezzo (Erin fisher), two tenors (Michael Barrett and Adam Luther), one baritone (Alexander Hajek), and one bass (Michael Uloth). Without exception, these artists are well trained, musical, with fresh, youthful instruments, ingratiating personalities and attractive stage presence. Some are of course more polished or have more experience than others, but they all have the potential for future careers in opera. Complementing the ten singers is an apprentice conductor, Samuel Tak-Ho Tam, who led the cast in "Questo e il fin", the Finale to Don Giovanni. The two accompanists were head of COC Ensemble Liz Upchurch, and Christopher Mokrzewski. Each artist gave a brief self-introduction, plus a word or two about the piece he/she was about to sing. Mezzo Erin Fisher kicked off with the Sesto's aria from Giulio Cesare, which showed off her high mezzo to advantage. She is reminiscent of former Ensemble member Lauren Segal in voice and appearance - I can see her as Cherubino and Octavian. Bass Michael Uloth followed with Sarastro's aria from Zauberfloete, "In diesen heil'gen Hallen". He has an attractive stage presence - no small advantage in today's push for dramatic verisimilitude, and while his voice at this point is a light-weight bass, it will probably develop and darken with time. Laura Albino sang "Piangero" from Giulio Cesare with bright, dramatic tone - one wishes for a bit softer attack, more chiaroscuro, particularly in the dolce second verse, and a high piano. Tenors are a rare commodity in the opera world, and the COC Ensemble boasts two, both from Newfoundland. Michael Barrett, brother of former Ensemble baritone Peter Barrett, sang the famous "Vainement, ma bien aimee" from Le roi d'Ys with nice tone, although his use of falsetto - as opposed to a true voix mixte - in the one-octave leap to above the stave may not be to everyone's taste. Baritone Alexander Hajek, in his second season, was the best of the men with a ringingly sung Champagne Aria. He was also most at east in front of an audience. His physical appearance might typecast him as a buffo in his future career - which is unfortunate, as his is the voice suitable for princely roles. A new Ensemble member, sopano Ileana Montalbetti, sang Donna Anna's "Or sai". Hers is a big, budding spinto, a little steely and hard driven at times. In some ways, she reminds me of former member Joni Henson. Montalbetti sang quite well, with a big, ringing sound, perhaps a little short on polish and subtlety in her delivery, needing to keep the cutting edge from take over. Second year Ensemble member Teiya Kasahara sang "Regnava nel silenzio" from Lucia di Lammermoor, with a flair for drama and blazing high notes. The other tenor of this year's Ensemble, Adam Luther, sang Edgardo's aria from Lucia di Lammermoor. Luther impressed in the title role of Gazzaniga's Don Giovanni last June. His sound is suitably Italianate, and he sang "Fra poco a me ricovero" well, although one wished for more dynamic variation instead of the constant mezza forte he used. The last two solo pieces turned out to be among the best offerings of the 80 minute concert. Second year soprano Lisa DiMaria offered "Sul fil d'un soffio etesio" from Falstaff. Petite and bubbly in appearance, DiMaria is an excellent Nannetta, singing with a well focused, sweet lyric soprano, with a nice trill. The last of the singers - and certainly not least - was third year member soprano Betty Allison. She sang the exacting "Come scoglio" from Cosi fan tutte with beautiful, focused tone, well controlled vibrato, sure sense of pitch, and admirable fioratura. The last item on the program was a truncated Finale from Don Giovanni, featuring the whole cast, led by Ensemble conductor Samuel Tak-Ho Tam, who incidentally was the only one who did not speak to the audience. He led the Ensemble in a solid reading of the score, a little tentative perhaps, but with time and experience, his conducting is sure to grow. All in all, this 2008-9 edition of the Ensemble is made up of 10 very talented singers, and they will prove indispensible to the upcoming productions this season. Nagano & OSM Rise to the Challenge: Mahler's Epic Symphony of One Thousand! It is easy to be overwhelmed by Mahler’s Eighth Symphony. Few works require such vast resources - hundreds of singers and instrumentalists. Fewer still rise to such towering climaxes, and yet the Mahler Eighth is not about size, but about love and death and the meaning of it all. Mahler wrestled with these concepts his whole life and tried his best to express what he felt through his music. Kent Nagano and the Orchestre symphonique de Montreal opened the OSM’s 75th season with two performances of the Eighth Symphony and the one I heard - the second - on Wednesday night, was extraordinary. An Opera Disguised as a Symphony, or a New Kind of Symphony?It is often remarked on that Mahler was one of the great opera conductors of his time yet wrote no operas. Each of his symphonies, however, is a music drama and many of them use one or more voices. The Eighth Symphony begins with a hymn, but its entire second part is a setting of much of Goethe’s Faust: Part Two, an operatic scene if ever there was one. At the same time, Mahler was not writing an opera disguised as a symphony; he was writing a new kind of symphony. In fact, he composed the entire first movement before he had a text and then fit his selected text to the music. One can analyze the Eighth Symphony in purely musical terms. The first movement, for example, is in sonata form and the second movement is a kind of Lisztian symphonic poem in which themes from the first movement reappear. In both movements Mahler employs the most complex contrapuntal devices. It all hangs together as a musical structure on a very large scale, but Mahler was also trying to go beyond traditional musical forms by adding voices to the orchestra just as Beethoven had done in his Ninth or Choral symphony. The Beethoven Ninth is also coherent as a purely musical structure. Remember how Beethoven brings back themes from earlier movements to start the last movement. Mahler does the same thing in his Eighth Symphony, only on a larger scale and with a more elaborate extra-musical purpose. Preserve us in bonds of peace. Like Beethoven, Mahler uses his soloists and chorus in this movement simply as different kinds of instruments, and so extends the expressive range and colour of the symphony orchestra. Mahler also gives us a hymn setting that goes far beyond Bach and Beethoven in its extreme emotionalism. There are moments when the music gets so wild it seems on the verge of spinning out of control. The second movement of the symphony is something else again. Here, through the medium of lines from Goethe’s Faust, Mahler continues his lifelong exploration of the mysteries of love, faith and death. In his Symphony No. 2 Resurrection, Mahler had given us a powerful vision of life after death, and in his Fourth Symphony he had shown us what heaven could be like through the eyes of a child. In the Eighth Symphony we have Goethe’s depiction of life after death as Faust’s soul is welcomed into heaven and Faust is reunited with his beloved Gretchen. In Goethe’s telling of the Faust legend, the scholar Faust makes a pact with the devil that in return for getting everything he wants in earthly life, he will serve the devil in hell. One thing leads to another - Faust falls in love with Gretchen and gets her pregnant. She gives birth but then drowns her illegitimate child. Convicted of murder, she is sent to prison. Faust is doomed to hell and damnation, but at the end of Part One, voices from heaven proclaim that Gretchen will be forgiven and saved. By the end of Part Two, Faust is forgiven his overweening ambitions and desires and accepted in heaven where Gretchen awaits him. Like Schumann and Liszt before him, Mahler found in Goethe’s text the most profound expression of the human condition and the path to everlasting life through earthly love and Christian faith. Given its enormous musical and philosophical challenges, Mahler’s Eighth Symphony is a daunting challenge for any conductor. Kent Nagano showed Montreal listeners once again that he thrives on challenges. He conducted with remarkable technical control and a deep sense of what lay behind the notes. The overwhelming climaxes at the end of each of the two movements were built with care and realized with maximum intensity. Yet it was often in the quiet passages that one felt Nagano’s total identification with the music. Mahler loved to storm the heavens, but some of his most profound music is whispered rather than shouted. Nagano’s soloists were all first-rate and added immeasurably to the success of the performance. Soprano Jennifer Wilson got off to a shaky start but settled in later on to soar fearlessly over the huge orchestra. Soprano Janice Chandler-Eteme impressed me with the beautiful colour of her voice. The star soloist, however, was undoubtedly tenor Simon O’Neill (left:photo by Lisa Kohler). He has been singing some of the great Heldentenor roles in opera houses around the world and one can see why he is in such demand. In the Mahler Eighth he was heroic indeed but never lost his fine lyric sound. The OSM Chorus sang magnificently under its guest chorus master, Michael Zaugg. The OSM winds have shown themselves capable of producing finer intonation on other nights, but then Mahler’s writing is often cruelly exposed. On the whole, however, the orchestra played with total commitment and careful attention to balances. The eminent Mahler authority Henri-Louis de La Grange gave us something to ponder in calling the final 'Chorus Mysticus' one of “the most powerful passages in the history of music.” As Kent Nagano led his stellar ensemble of soloists, chorus and orchestra through this inspiring music at Place des Arts, one had no choice but to concur wholeheartedly.